Is the iPhone 5S Touch ID sensor losing accuracy over time? Fingerprint scanning may be set to go big on phones in 2014, but there might be a few kinks to iron out before then. 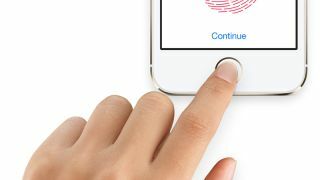 Apple's iPhone 5S introduced Touch ID, letting owners unlock their phone and make app purchases using their fingers. However, isome users are reporting that the accuracy of the fingerprint scanner dwindles over time. Touch ID requires you to scan your finger or thumb at various angles so it can store a nice and comprehensive scan to memory. But tech blogger Dr Drang, "a consulting engineer well known amongst nerds on the Internet", wrote in a post about how he has experienced the accuracy of the fingerprint scanner "decay with time". This has now led to a number of other people coming out of the woodwork to say the same. BGR updated to say that a number of people had responded to the story "indicating that they are experiencing Touch ID accuracy degradation as described". John Gruber of Daring Fireball also backed this up, stating "Drang is not alone — I've had a handful of readers ask me about this recently". We found that several forum users have also had issues. "Works perfectly for a week after registering a new finger, deteriorates slightly in week 2 and by week 3 it takes 3-4 tries before it logs in. So I re-register the finger(s) and the cycle restarts," said user Minimo over on the imore forum. Meanwhile user nr2d wrote in a separate thread: "It seems that I have to reprogram my Touch ID prints about every 2 - 3 days. It'll work for about 1 - 2 days then I have to re-program 1 or both finger prints. Anyone else having problems?" However, plenty of other forum users responded to say that they've had no problems at all, so right now the problem doesn't appear to be massively widespread - or indeed a problem at all, as plenty of users are citing naivety in the way people are interacting with the biometrics, with factors like sweat, dry weather and misplaced digits all having an effect. Still, it will be interesting to see if this issue is reported more and more as time goes on - the iPhone 5S has only been available for just over two months, after all. Right now it could just be a case of people getting used to the new technology - or just having dirty fingers. Have you been experiencing problems with Touch ID accuracy? Let us know. What else does the iPhone 5S offer?